The broad objective of the Workshop is to have two-days intensive reflections among radical political economy scholars and progressive activists to take stock of the actually existing conditions in Africa in the context of the current phase of neo-liberal imperialism and how progressive forces can effectively intervene/participate in and promote progressive politics during the current conjuncture. Around 65 participants will be invited, roughly about 30 from Tanzania, 10 from East Africa outside Tanzania (Kenya, Uganda, Rwanda, Burundi), 15 from Africa outside East Africa and 10 from outside the continent. There will be three panels, two on the first day, one on the second day followed by a Public Lecture and workshop dinner open to the public. Panelists are not expected to prepare written papers; instead, they will speak from their own talking notes. Panel presentations will be followed by plenary discussions and the chair/moderator is expected to broadly guide the discussions by allowing participants to spend sufficient time to present their arguments in the style of dialogue/conversation. As the title suggests, the idea is for the panelists to trace in broad strokes the character of contemporary imperialism and its varied manifestations in the context of trajectories of accumulation. Panelists are urged to tease out the impact of imperialism on internal class struggles and the potential for building solidarity across the continent and the world. To explore the social forces and alliances behind the Russian Revolution and the Arusha Declaration, ensuing struggles and weak links that account for their subsequent trajectory and ultimate defeat. The second day will have two sessions. Session 1 from 9.00 to 12.00 will be Panel 3. After tea break there will be session II from 1.00 to 3.00 which will be a summing up session. Issa Shivji and Peter Lawrence will co-chair the summing-up session and the lead speaker will be Yao Graham and Ray Bush. At 5.00 pm there will be a public lecture open to the public followed by the launch of Lee Wengraf’s Extracting Profit and finally the workshop dinner. With a view of linking radical political economy analysis and activism to existing circumstances and conditions in Africa, participants will examine the nature and class character of the existing and emerging forms of organization, resistance and social movements. Participants will also explore alternative counter-hegemonic politics, which can influence efforts towards challenging neoliberal and elite monopolisation of political and economic power. Experiences from local and national activists and scholars, especially those at the forefront of organizing political and economic struggles in both rural and urban areas, will be shared. 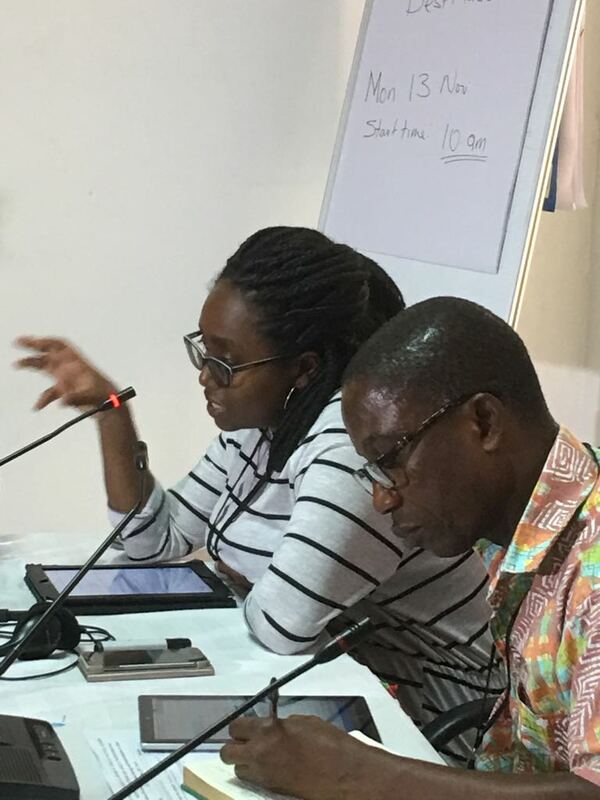 At the end of discussions, participants will consider whether the new progressive politics can emerge from existing sites of popular struggles and resistance in Africa and the role of Pan-Africanist ideas in the current struggles. A significant number of African states are encountering a neo-liberal scramble for their resources particularly land, minerals, oil and gas. Currently, there are vivid hotspots of popular resistance against the Western neo-liberal project for the re-colonization of Africa. Resistances are spearheaded by both rightist and leftist populisms and narrow nationalisms. It is in this context Olukoski will explore the intervention of progressive forces. Really wanted to attend this workshop but such few numbers! What does one need to do to partake?